We headed to Hawaii for Christmas this year. OK - we were more conveying the concept of having an unseasonal type break than trying to boast about our phenomenal surfing skills (which are moderate-to-poor - see our holiday account for a better idea of our actual prowess). 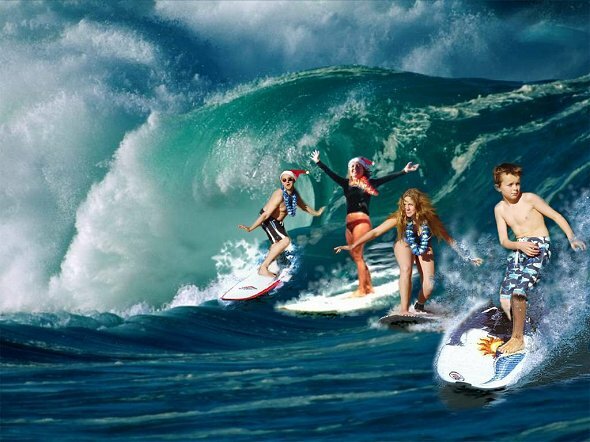 But the idea of us in leis and Santa hats while powering down some monster wave seemed appropriate.